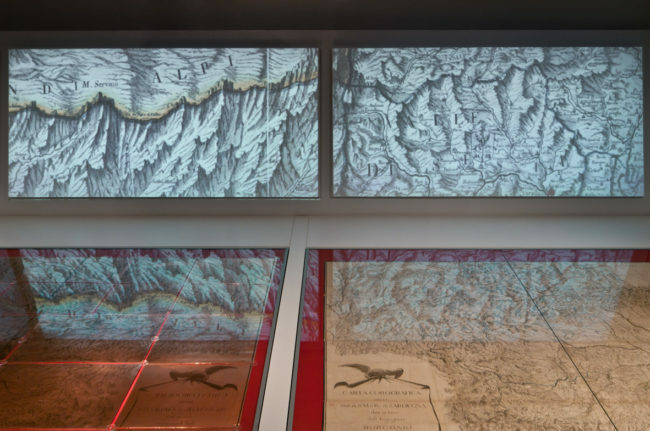 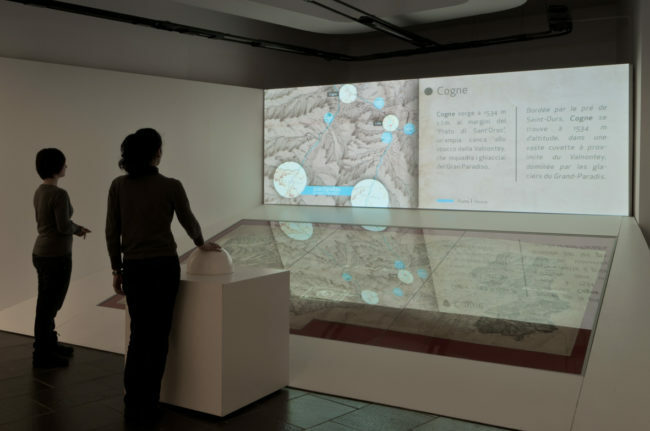 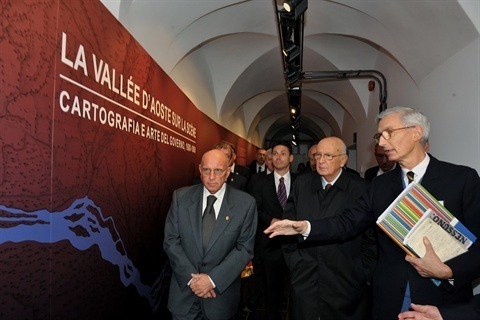 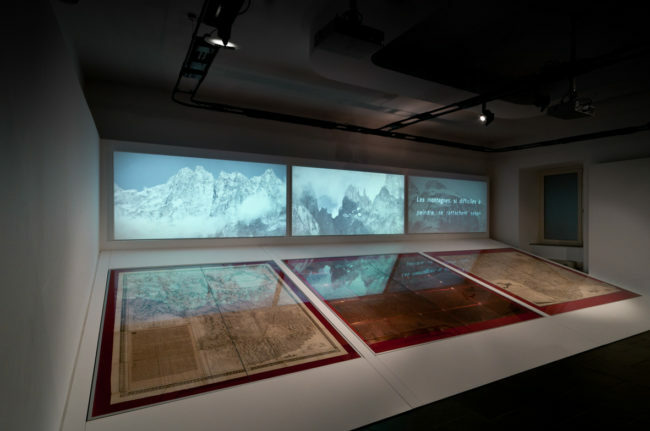 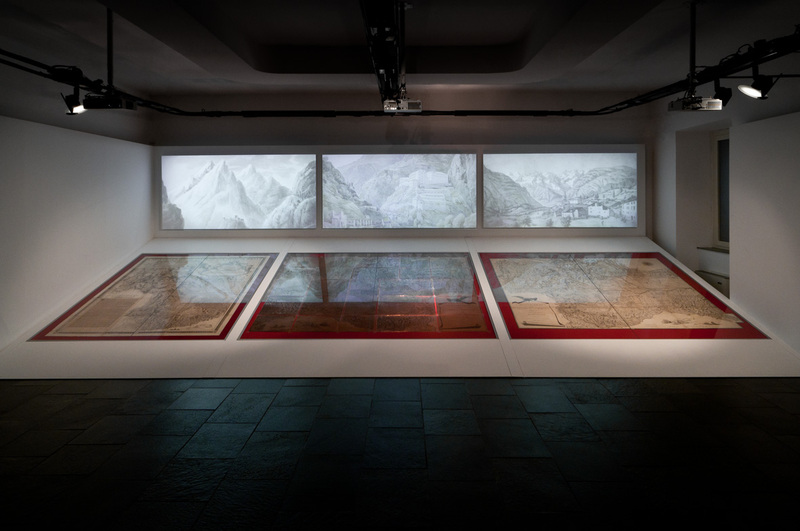 An exhibition of old and precious maps of the Valle d’Aosta region. 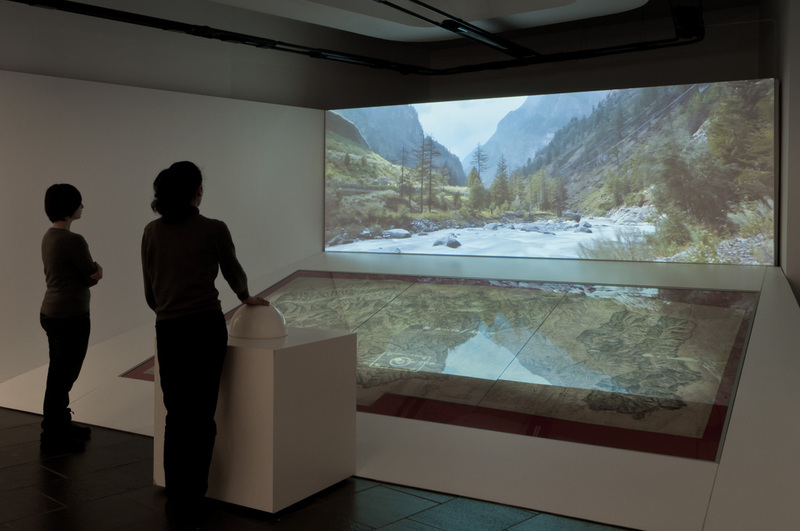 Design, development and setup of an interactive videoinstallation based on the concept of augmented reality. 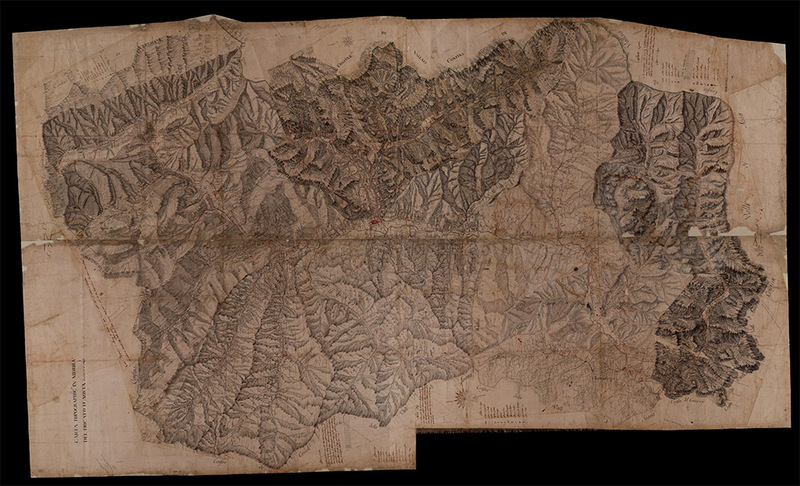 Description: An old map lies on a big table. 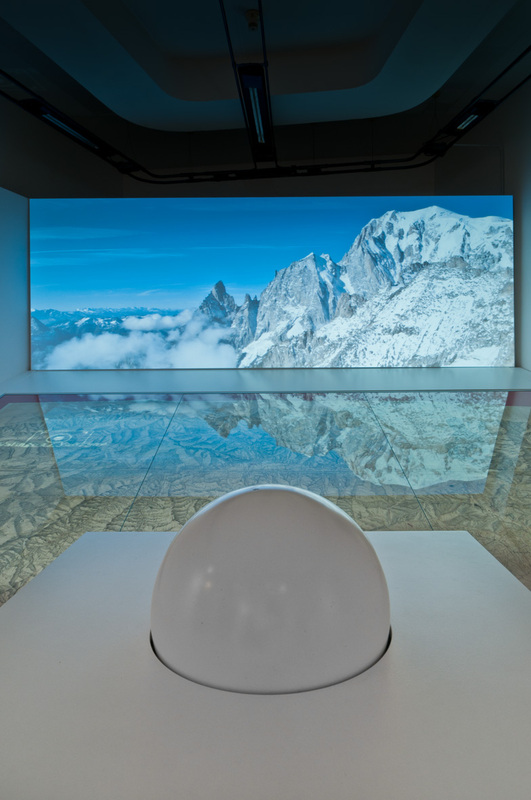 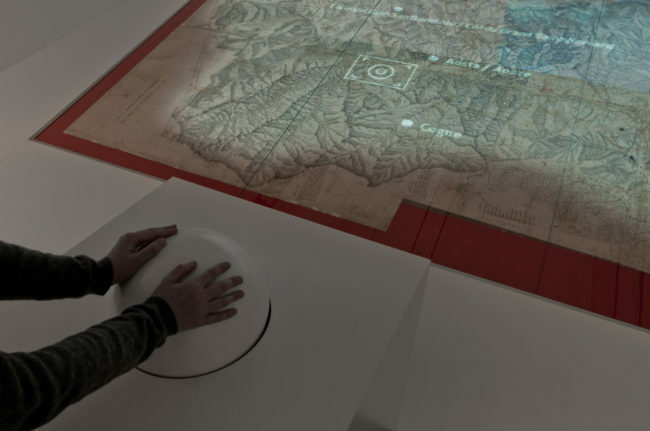 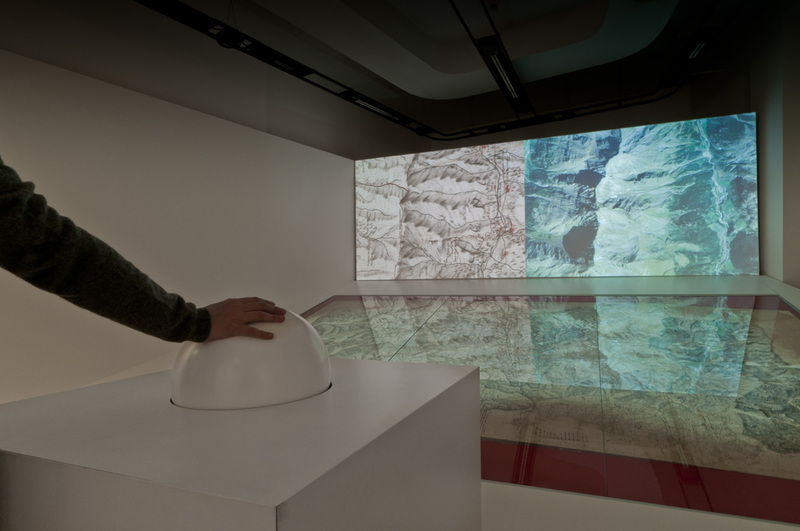 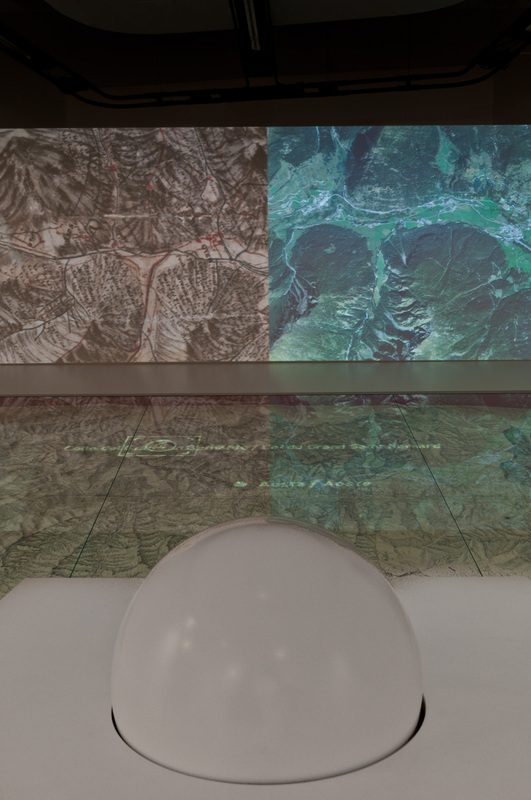 A huge custom built trackball allows the visitor to use an augmented reality projection on the map, moving around a viewfinder. Points of interest pop up on the map when the viewfinder gets near and a zoom of what framed by the viewfinder is projected on the wall (a zoom of the map on the left and a zoom of a satellite view on the right). 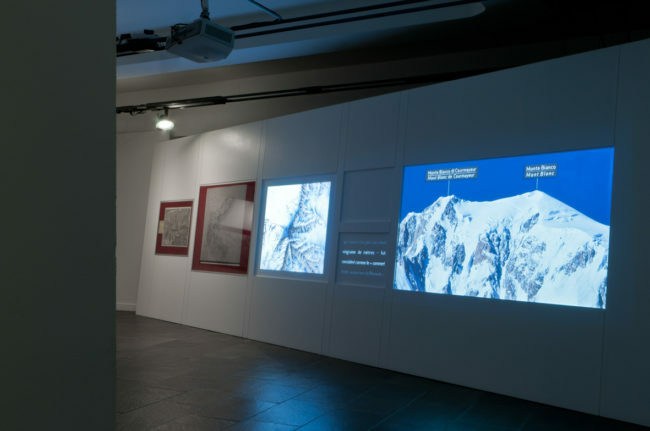 When the viewfinder rests for a while on a point of interest, a video clip on that topic fades in on the wall. 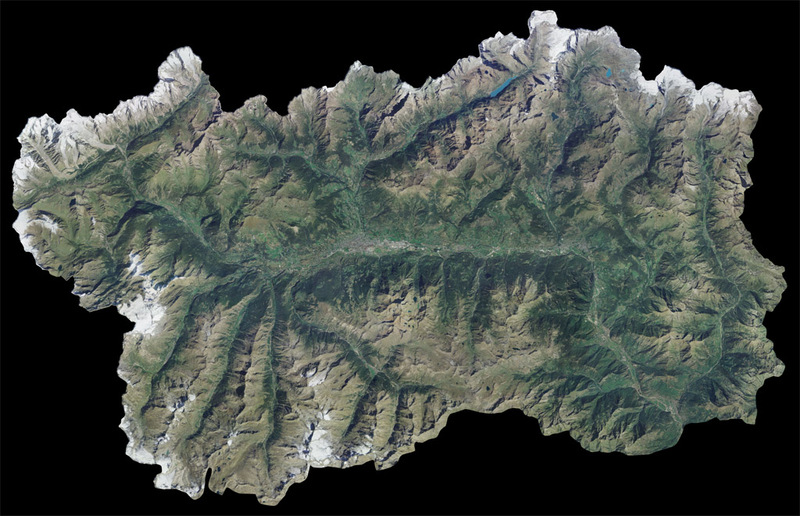 Done with N03 for Regione Valle d’Aosta.